Unfortunately our site is not suitable for children, but it is suitable for peace and tranquility. 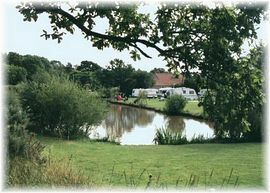 Moorside Caravan Park is set in the heart of Strensall Common, bordering onto a Scientific Nature Reserve and opposite York Golf Course. 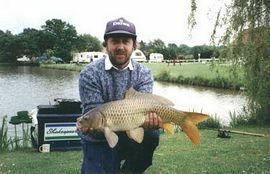 Whether you wish to fish in our own private lake, play golf at York Golf Course, or simply relax, Moorside offers the perfect setting for a peaceful and restful holiday. Visit the historic walled city of York on the banks of the River Ouse, with its famous Minster and cobbled streets, where you can see the internationally acclaimed Jorvik Viking Centre, Castle Museum, Yorkshire Museum and Gardens, York Dungeon, York Wax Works and the National Railway Museum, the home of the largest collection of steam locomotives in the country (including the world famous Mallard). Adults Only Caravan Park - sorry no children under 16. Disabled Facilities: There are disabled facilities. 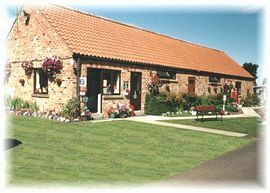 Take the A1237, the York outer ring road, then take the STRENSALL turn and head towards Flaxton. 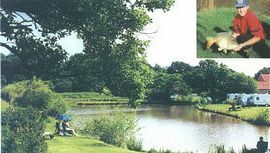 Moorside is situated just past York Golf Course on the left hand side just before the 1st Cattlegrid. Low Season: £9.00 per night. 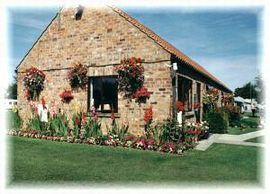 Mid Season: (June, September) £11.00 per night. High Season: (July, August & Bank Holiday Weeks) £12.00 per night. Electric Hook-up: £2.00 per night. Hard Standing: £0.50 per night. Open from March until the end of October.